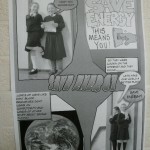 The girls from the 3rd and 4th classes were lucky enough to have a tutorial on the programme Comic Life a few weeks ago. They became experts at the making their own comics and decided that they could enter some of their comics in the iFestival. The girls from 3rd class used the theme “Growing a Green School” and the 4th class girls used the theme “Animals and their Habitats”. Their comics were fantastic and we wish them luck with the competition! This year the boys and girls in our school are working really hard to have loads of entries for the iFestival. The iFestival is an exhibition of computer based work which will be on display in the Ilac library in June. 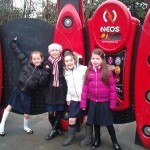 The girls from Ms Reeves 3rd class have entered the ‘Photo Journal’ competition in the iFestival. 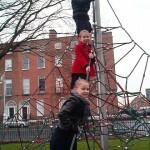 For this the girls went to Mountjoy square and they took photos of their friends doing different things. They then had to write about why they took the photo. Here are some of the photos taken by the girls! The girls from Ms Grimes’ 3rd class as well as Ms Reeves’ 3rd class and Ms McEvoy’s 4th class are taking part in the ‘Comic Life’ competition for the iFestival. 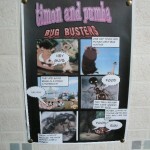 The girls have been working on creating their own comics based on different themes. The 3rd class theme is ‘Growing a Green School’ and the 4th class theme is ‘Animals and their Habitats’. The girls have been working really hard on their comics which will be entered at the end of the week! Lets hope they do really well!